Tour companies in Los Angeles, California. List of best Los Angeles sightseeing tour guide services and tour companies in Hollywood. Here’s our list of tour operators / guides in Los Angeles, California. STARLINE TOURS is the oldest, largest and #1 sightseeing tour company in Los Angeles, California, offering Hollywood Tours, Los Angeles Tours, The Haunted Hollywood Tour, Movie Stars Homes Tour (Best-Seller), Movie Locations Tour – Los Angeles, TMZ Hollywood Tour – Secrets and Celebrity Hotspots, Madame Tussauds Hollywood, Hollywood Pass, Shopping Tour and celebrity tours of homes and more. Ticket Booking : Starline CitySightseeing Hop-on Hop-off Double-Decker City Tour – Book Online NOW and Save $5! Los Angeles, CA 90028, United States. One of the best and leading Los Angeles tour company. Offers Los Angeles Double Decker Sightseeing Bus Tours. Hop on Hop off bus tours in LA, Sightseeing, Attractions, Universal Studios and more. One of the leading tour companies in Hollywood. TMZ offers “Secrets and Celebrity Hotspots” tour through “Starline Tours”. The TMZ Tour is presented on a state-of-the-art, open-air tour bus. See the hottest spots in Hollywood, Beverly Hills and the Sunset Strip where celebrities go to play. One of the leading tour companies in Los Angeles, California. Private, custom luxury tour company based in Los Angeles, California. Offers private luxury custom tours in Los Angeles. Tours includes – private tours by land, private tours by air and destination management services. All of Elite Adventure tours include pick up and drop off at your hotel, the airport or wherever you decide best suits your tour experience. Tours : Helicopter Sightseeing Tours of Los Angeles, Hollywood and Downtown Helicopter Tour, Malibu & Santa Monica Coastline Tour, Deluxe Helicopter Tour, VIP Helicopter Tour, Red Carpet Helicopter Tour, Ultimate Helicopter Tour, Romantic Landing Dinner Tour, Sunset Helicopter Tours and Night Flight Helicopter Tours. Tours : Los Angeles Air Tour over Santa Monica, Downtown LA and Hollywood, Los Angeles Air Tour over Malibu Canyon or the Hollywood Sign. One of the leading Top rated Hollywood / Beverly Hills & Star Homes Tour. Want to see all of Beverly Hills and Hollywood in just a couple hours ? Just reserve you seat at Ultimate Hollywood Tours. Private Tours available upon request. Fully guided sightseeing tours of Hollywood, Beverly Hills, Bel-Air, and Stars homes. One of the popular Celebrity Homes Tour company in Hollywood. Providing (2½-hour) Star Homes & Celebrity Sites, (6/7 Hours) All Day L.A. City Tour, smaller 12 passenger open air custom vehicle / Air Conditioned Bus for tour transportations. Guided architecture tour by an architectural historian and guidebook author Laura Massino. Customized architecture tours are also available. is the Tour Guide / Owner at Entasis Architectural Tours. Premium walking tour led by Jonathan Kaplan. A 20-year Venice resident and professional storyteller. Tours : (2 to 2.5 hour) The Basics Tour, (3-3.5 hour) The Basics + Canals, (3-3.5 hour) The Basics + Abbot Kinney Historic District and (seasonal tour) Venice Canals Holiday Lights Tour etc. Entertaining sightseeing tours Hollywood, Movie Stars & Celebrity Homes in Beverly Hills, Bell Air, Holmby Hills, Mulholland Drive, Rodeo Drive, Beach Tours & More. Tours : Showbiz 2 & 1/2 Hour Star Tour, Showbiz 5 Hour Star & Beach Tour, Showbiz 8 Hour All Day Tour. Tours guide services in Los Angeles, California. Daily 2 hour guided walking tours of downtown Los Angeles & Hollywood. City tours of Los Angeles – private tour, custom tour or small group tour. American Riviera Tours offers best Los Angeles private charter tours for small and large groups in LA. Tours : (9 hours) Universal Studio and Hollywood Tour, (3-4 hours) TV Show Tours, Greater LA Private Tours $60/hour, Limo Tours, (6 hours) LAX Long Beach Los Angeles City Tour Package and many more. French speaking tour company in LA. Guide tour service for small groups to enjoy behind-the-scenes, studio tour and more. Tours : (2 Hours, Daily) Studio Tour, (4.5 Hours, Monday-Friday) VIP Studio Tour and (2.5 Hours, Friday & Saturday) Paramount After Dark Tour. Tours : Deluxe Tour, Group tour. One of the top tour guide service in Los Angeles area. Tours : Segway® Tours, Studio Tours, Sightseeing Tours, Hiking Tours, Beverly Hills Tours, Hollywood Tours, Winery Tours, Helicopter Tours and more. Private Tours of Los Angeles – 5 Hours (on request), 8 Hours (most popular) and 10 Hours (additional tour spots). Top Rated Private Black SUV Tours Of Los Angeles, No Crowded Van or Bus. Sightseeing Tour Agency in Los Angeles, CA. Offering completely custom and private tours to fit your interests at affordable prices. Tours : (Full Day) Best of Los Angeles, (5 Hours) Los Angeles in a Nutshell, (5 Hours family tour) Kids Rule L.A., (5 Hours) L.A. Layover, (custom tour) L. A. Your Way, (8 Hours) Taste L.A., (5 Hours) Beach Bum, (5 Hours night tour) L.A. Illuminated and more. Boat Tours & Water Sports guide (best surf lessons) tour company in Los Angeles. Offers everything from lessons, coaching, and training to guided surf-camping trips. A family run multimedia sightseeing tour of Hollywood and Beverly Hills. Offers private and regular award winning CITY & CELEBRITY HOME TOURS. Hop on Interactive (multimedia sightseeing tour) Bus Tour / luxurious Mercedes Benz of LA. Private tour is available. Tour packages includes City Tour & Celebrity Homes, Private Tour etc. 6333 W 3rd St, Los Angeles, California 90036. Private Los Angeles tours including Hollywood, Beverly Hills, Santa Monica & more. Tours – (8-Hour) All of L.A. In A Day, (half-day) Hollywood Experience, (half day) Hollywood Experience + Farmers Market, (custom tour – 3 to 8 hour) Build Your Own Tour, (all-day tour) Teens and Tweeners Tour, (3 to 8 hour) LAX Layover, (3 to 8-Hour) Cruise Ship Port of Call, (5 hours) Haunted Hollywood. Los Angeles Urban Adventures is a multicultural team comprised of locals who live right in the heart of L.A. Speaking English, Spanish, French and Arabic. 6801 Hollywood Blvd., Los Angeles, CA 90028. LA Private Tours, Sightseeing Tours (Grand Tour of LA, Hollywood / Hollywood Express & Celebrities / Los Angeles City Tour / LA Beaches, Hollywood & Beverly Hills Tour, Las Vegas from LA / Wine Tasting Tour in Santa Barbara / San Diego Tour from LA / LAX Layover Tour / Cruise Ship Layover Tour), Multi Day Tours (LA, Las Vegas & Grand Canyon Tour / Mini California 3 Day Tour / West Coast Wonders). 5711 W Century Blvd., Los Angeles, CA 90045-5672. Red Line Tours LA operates walking tour attractions. Tours are – HOLLYWOOD Behind-the-Scenes and BROADWAY Behind-the-Scenes. Red Line Tours LA also offers private groups tours. Small group private tour company in Los Angeles. We Love L.A. offers a variety of services, including transportation to LAX international airport and packages for Disneyland, Aquarium of the pacific and different private services around the Los Angeles Area. Culinary adventures in and around Los Angeles : Private & Group Food Tasting Tours for All Occasions, Original Farmers Market Food & History Tour, Old Pasadena Food Tasting Walking Tour, East LA Latin Flavors Tour. Hollywood and Los Angeles Food and Sightseeing Tours. Tours includes – (4 hours) Hollywood Sites & Bites Food Tour, (2 hours) Celebrity Insider Movie Locations Tour and (3 hours) Chocolate Indulgence Tour. The Amazing Los Angeles Race (also known as the Fantastic Race) is an interactive, clue-based adventure competition and sightseeing tour. Tours are – Los Angeles Hop-On Hop-Off Tour and Scavenger Hunt, Amazing Los Angeles Race : Small Group Tour and Scavenger Hunt, Santa Monica Race etc. Eeek! G-G-G- GHOST TOUR! – Ghosts & Legends Walking Tour, (3.5 hours) Helter Skelter Tragical History Tour etc. A specialized French-American tour company offers “Amazing Day Tour of Los Angeles”. Tours : (4.5 hours) Los Angeles Highlight Tour, (6 hours) Los Angeles Grand Tour, (8 hours) Shop ‘Til You Drop, (5 hours) The Beautiful Beaches of Southern California, (12 hours) Palm Springs, (3 Days, 2 Nights) Las Vegas Tour. City tour / daily sightseeing tour in Los Angeles in German. Sandra and Dennis – your tour guide in Los Angeles. Offer tour exclusively in German and in small groups with a maximum of 14 people. Full-service bike/hike tour company based in West Hollywood, California. Offers Bike Tours, Hiking Tours and Bike rentals. Tours : LA in a Day Tour, Hollywood Bike Tour, Self-Guided Movie Star Homes Bike Tour, Hollywood Hills Day/Sunset Hike and Group and Custom Excursions. LA Sightseeing. LA food tourism company runs public tours and private tours (customized schedule for four or more guests). Downtown LA, Thai Town, Arcadia, San Gabriel Valley, Little Tokyo, Santa Monica, Hollywood, Arts District, Beverly Hills and West LA / Sawtelle. Guided walking tours of Downtown Los Angeles. Offers public and private tours for parties, schools, groups or corporate events. Public Tours : (2 hours) LA’s Beginnings, (2 hours) Old & New Downtown LA, (2 hours) Downtown Highlights (Architecture) Tour, (2 hours) Downtown Discovery Tour and (2 hours) Holiday Lights Tour. Orbic offers fully customizable and personalized flight solutions for every adventure and budget. Tours : Dinner and Flight Tours, Ultimate Helicopter Tour of Los Angeles, Group Helicopter Tours, Landing Tours and Scenic Air Only Tours. Offering day and evening rides. Available for group parties, special events, children’s birthday parties, location shoots, and romantic couple’s rides. ROTOR F/X LLC offers helicopter tours, flight training for helicopter, airplane and UAV / Drones. Tours : (30min – 60min) Standard Helicopter Sightseeing Packages, Deluxe Helicopter Sightseeing Packages, (30min – 60min) Standard Airplane Sightseeing Packages, Deluxe Airplane Sightseeing Packages. Oldies Car Rental and Tours Inc.
Oldies offers Los Angeles tour (with classic Cadillac of the 60’s), helicopter flight etc. Oldies can be customized for special events such as weddings, proms, academy awards, transportation to parties etc. Offers a variety of Architecture Tours (private tour, group tour, guide tour) in Los Angeles, California. Tours : (3 hours) LA Frank Lloyd Wright Tour, (60-minute walking tour) Silver Lake Neutra Tour, (2 hours) Downtown LA Tour / DTLA Tour, (5 hours) LA Highlights Tour, (60-minute walking tour) Century City Architecture Tour and (3 hours) West Hollywood/Beverly Hills Tour. 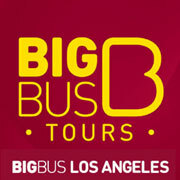 Tours : Private Tours of Los Angeles, custom-designed International tours, Tailor Made – Speciality Group Tours and more. Japanese tour company and offers taxi / charter private car service. Tours : Whale Watching Cruise in Newport Beach, Dearly Departed Tragical History Tour in Hollywood etc. Sightseeing tour company in Los Angeles. Los Angeles based Double Decker bus company. Private tour company in Beverly Hills covering Los Angeles, Beverly Hills, Hollywood, Malibu and Santa Monica. Paragliding operator in Malibu, Los Angeles, CA. Offer a wide variety of services including Paragliding & powered paragliding tandem rides, lessons, aerial photos / video and a wide range of certified products. One of the popular Boat Tours & Water Sports company in Los Angeles. Kayaking LA River tours in Elysian Valley, Los Angeles. China Travel Service (U.S.A.) Inc.
Los Angeles office offering Inbound Tours (China to USA). Hop-on Hop-off sightseeing bus tour company in Los Angeles. Gives you the flexibility to see famous LA attractions at your own pace.